1. Watch the following Khan Academy video again as a refresher for how to find a missing angle. 3. Feel like you got it? If not look at this lesson before you continue on the next set of problems. The first video is an introduction to the terms we will be using in the unit and how they connect to the triangle! Find the measurement of angle by determining ratios of the side-lengths of the triangle. This is a great introduction video to calculating sine, cosine and tangent. Example: Using soh cah toa: Worked example evaluating sine and cosine using soh cah toa definition. 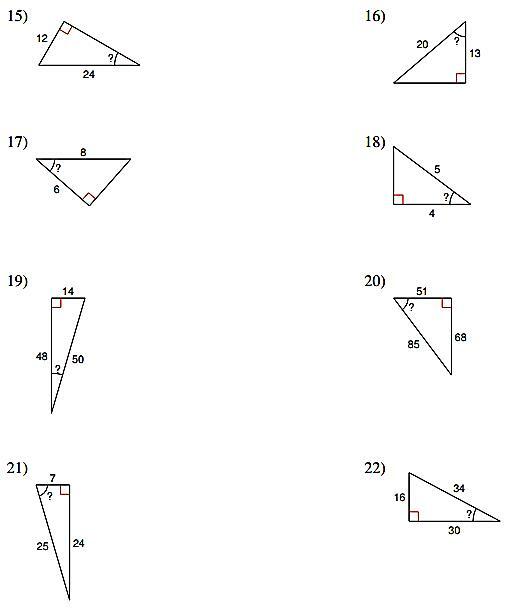 Once you have a handle on using sine, cosine and tangent, take it one step further to use the angle itself to find a missing length of the triangle. 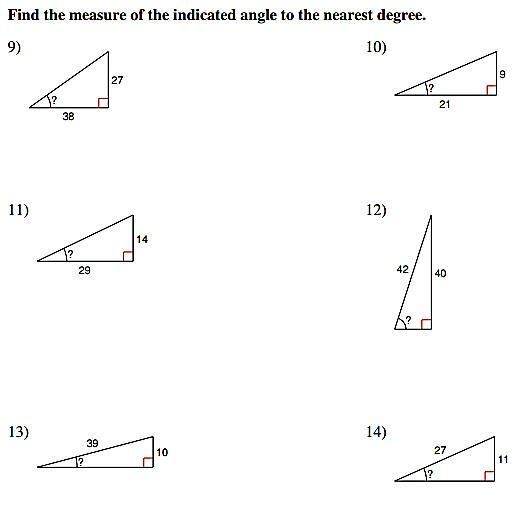 Example: Trig to solve the sides and angles of a right triangle: Worked example using trigonometry to solve for the lengths of the sides of a right triangle given one of the non-right angles. This video from Khan Academy describes the Addition Rule with mutually exclusive events and non-mutually exclusive events.. Below is a link to a webpage that also walks through the Addition Rule in both scenarios, then ends with practice problems. When creating a probability distribution, it is important to know the entire sample space and how to calculate the probability of certain events within the sample space.